As for 2018, Kazakhstan had 244 courts where 7,000 sportsmen trained. Bulat Utemuratov became the President of the Kazakhstan Tennis Federation in 2007. Issues of development of the tennis infrastructure and children’s tennis came up the most urgent then. The first five-year programme of development was designed in 2007. It was agreed with the President of the Republic of Kazakhstan. Since then the programme has been renewed every five years, and every year from two to four tennis centres have been commissioned in various regions of Kazakhstan. The following projects were launched: “Tennis under 10”, the Team Kazakhstan Academy for gifted sportsmen, a programme of certification of trainers, a training programme for judges, concepts of national and international tournaments. 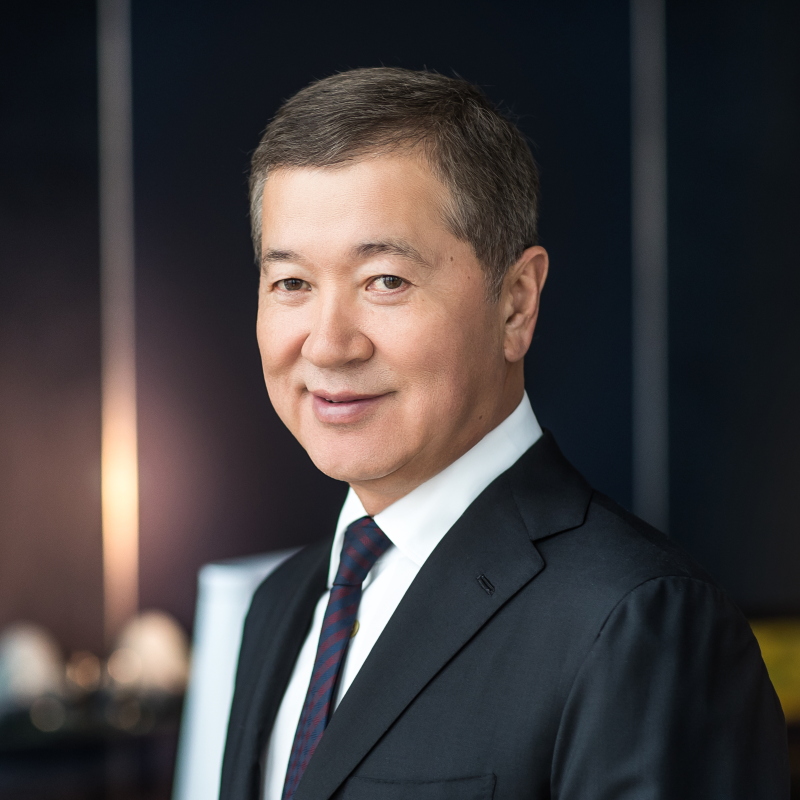 The Kazakhstani federation joined the Asian and International Tennis Federations, and Bulat Utemuratov took the position of a member of the Board of Directors. In line with the plan, four infrastructural projects were underway in 2018. Dias Doskarayev, Vice President of the Kazakhstan Tennis Federation, shared that Kazakhstan strives to develop both amateur and professional tennis – for the health of the nation and for the highest achievements at the international level. In both cases a developed infrastructure is needed which would allow for systematisation of processes and creation of favourable conditions for sportsmen. The first infrastructure project of 2018 was extension of the National Tennis Centre in Shymkent and construction of a hotel affiliated with it. Then came the construction of the Ace Tennis Centre in Almaty. It was opened personally by President Nursultan Nazarbayev. Several months later, one can see about 500 children attending it. From the financing point of view, tennis centres launched by the Federation in 2018 in cities of Aktobe and Petropavlovsk turned out to be quite special. They were built within the framework of public-private partnership. The Petropavlovsk tennis centre will welcome its first international tournament – the ITF G4 competition among boys and girls under 18 – in the first quarter of 2019. The Federation has large-scale plans for 2019 too. In 2019 the Federation plans to build new centres in Astana, Karaganda, Aktau and Almaty, and a training centre in Lisakovsk town, Kostanay Oblast. The Federation builds new facilities where there is a splash of popularity of tennis among children, where queues gather and the demand outpaces the supply of current tennis centres. This monitoring work is carried out by the Federation branches in every region, data are entered to the single database, and the management then plans the work to build an infrastructure for three-four years ahead. Facilities in Kostanay, Taraz, Kyzylorda, Shymkent and the Turkestan Oblast are up next. Pavlodar, Semipalatinsk and Ust-Kamenogorsk also need new centres. Another field of activities of the Kazakhstan Tennis Federation led by Bulat Utemuratov is organisation of tournaments. “We have held over 100 tournaments of the republican and international level for the year of 2018. Besides, there is a separate programme of tournaments for children under 10 years of age. We have held 154 more tournaments within the children’s programme,” says the Vice President of the Federation, – “Our international tournaments amount exactly to 40”. In July 2018 the Federation traditionally held the President’s Cup – one of the most prestigious tournaments in Kazakhstan where sportsmen from 20 countries came together. The winners’ pot of the President’s Cup is 205,000 dollars. The Cup falls within the preparation series of hard flooring tournaments which precede the US Open Grand Slam tournament. Prestigious tournaments of the ATP Challenger series traditionally take place in Almaty and Shymkent. The winners’ pot is 50,000 dollars, and the players of the top-100 world rating come together there. The Federation management notes that the tournament geography expands every year in Kazakhstan. Large international competitions now take place not only in Almaty, Astana and Shymkent, but also in smaller cities, such as Aktobe, Ust-Kamenogorsk and Uralsk, and this year tournaments will be held for the first time in Petropavlovsk and Karaganda. International competitions enable sportsmen from regions, trainers and parents to watch the competitive players who come to Kazakhstan from in average 16 countries of the near and far abroad, as well as to raise recognition and image of the Kazakhstani tennis at the global level. 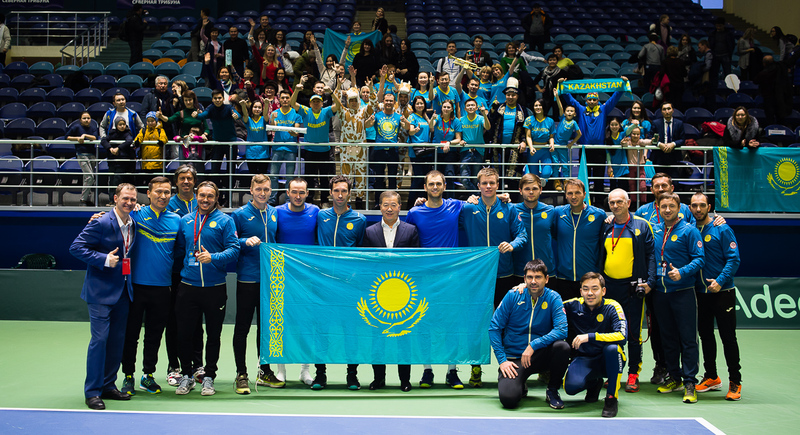 Professional results of the national tennis team of Kazakhstan were persistently good in 2018. The men’s team reached the quarterfinals of the Davis Cup World Group, entered the top-8, that is believed to be very prestigious at the global level. But the outstanding success was demonstrated by the young charges of the Federation, those under the age of 12 years. Many of them placed high at European and Asian tournaments. We heard new names: Aiya Nupbay and Karina Dzhumadzhanova won the tournament of the Tennis Europe ProWin Saarland Junior Open series in the Neunkirchen town in Germany, Zhanel Ospanova reached the Tennis Europe final in Minsk. 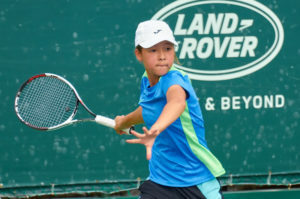 Yerassyl Murat won the ITF G5 Tirana Open tournament, and Sandugash Kenzhibayeva and Yerassyl Yerdilda became the first Kazakhstanis in history who managed to qualify for the prestigious Les Petits As tournament (unofficial world championship for players under 14) to be held at the end of 2019 in Tarbes, France. Dostanbek Tashbulatov, for the first time in the history of Kazakhstani tennis, took part in the Youth Olympic Games-2018 in Buenos Aires. 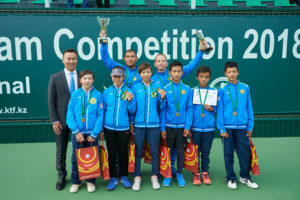 Kazakhstani fans were pleased with trainees of the Team Kazakhstan Academy which was established to support the most promising children tennis players and creation of the country’s tennis reserve to take part in the Davis Cup and Fed Cup world competitions. Anna Danilina, Denis Yevseyev, Gozal Ainitdinova won medals of various ranks at the Asiad. They took part in the Asiad for the first time. 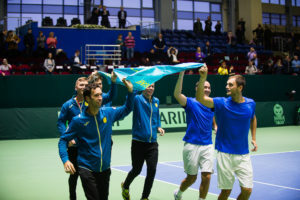 All these achievements of 2018 give a sense of how tennis has been developing in Kazakhstan for the recent 10 years: we have opened up our own stars – talented children from large and small cities and towns of Kazakhstan who won medals at international tournaments, we have our own trainers and judges, own competitions which attract the world’s leading tennis players. It is safe to say that Kazakhstan won a decent place on the global map of professional tennis and became a serious rival of the world’s best tennis national teams.